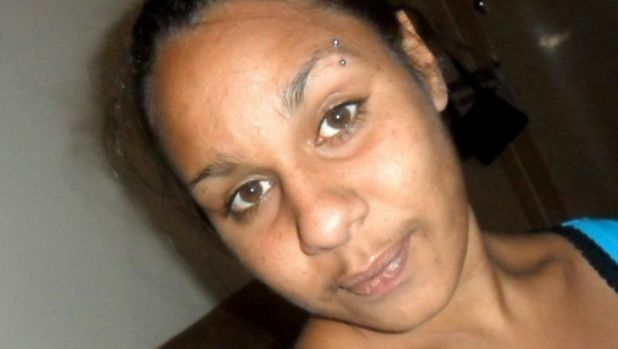 In Western Australia, yet another Aboriginal woman died in police custody. Cherdeena Wynne was 26 years old, mother of three children, living with mental illness. According to Shirley Wynne, Cherdeena Wynne’s mother, at 3:30 on April 4, eight police officers entered Shirley Wynne’s home and, in the dark, wrestled Cherdeena Wynne to the floor, where they handcuffed her. According to Shirley Wynn, the officers kept calling Cherdeena Wynne by another name. Finally, after 20 minutes, the officers left the house and Cherdeena Wynne understandably terribly upset. Cherdeena Wynne ran from the house. Police encountered her blocks away from her mother’s house. Police handcuffed Cherdeena Wynne, for her “protection.” Cherdeena Wynne passed out. Officers uncuffed her, administered CPR. She revived and was taken to hospital, where she was placed in an induced coma and died, on Tuesday, April 9. Police are not investigating her death because, basically, nothing happened. It gets worse. Cherdeena Wynne was the daughter of Shirley Wynne and Warren Cooper. Cherdeena Wynne was Noongar and Yamatji. In 1999, Warren Cooper was arrested. Warren Cooper died in police custody. Both Cherdeena Wynne and her father Warren Cooper were 26 years old when they died in police custody. Jennifer Clayton, Cherdeena Wynne’s grandmother and Warren Cooper’s mother, said, “It’s time for this to stop. I have lost my son and now I have lost a granddaughter.” Carol Roe, Jennifer Clayton’s cousin, agreed: “If kids die from natural causes you can go on, but the way our kids die we can’t go on. We are lost in the system and they don’t care two stuffs.” Carol Roe is Ms. Dhu’s grandmother, the same 22-year-old Ms. Dhu who died in custody in 2014, also in Western Australia. Ms. Dhu was arrested for unpaid parking fines. Ms. Dhu and Cherdeena Wynne were executed for the crime of being-Aborigina-women. We have described the deaths of the following Aboriginal men and women in Western Australia before: Mr. Ward, 2008; Maureen Mandijarra, 2012; Ms. Dhu, 2014. Two years ago, we described, after three years, there was still no justice for Ms. Dhu, her family, or Aboriginal women generally. Repeatedly we have seen Western Australia as the epicenter for the rising incarceration of Aboriginal women and the expanding and intensifying abuse of Aboriginal women in the various forms of detention in Western Australia. None of this is new. Currently, there is no accountability and no justice for the deaths of Aboriginal and Indigenous women and men in Australia’s prison. Cherdeena Wynne was handcuffed in police custody when she fell unconscious. The police decided not to investigate. Nothing happened, less than nothing. It’s time for this to stop. Stop sending Aboriginal women and men to jail for drunken behavior, sleeping rough, unpaid fines, mental illness, being Aboriginal. It’s time, it’s way past time, for this to stop.